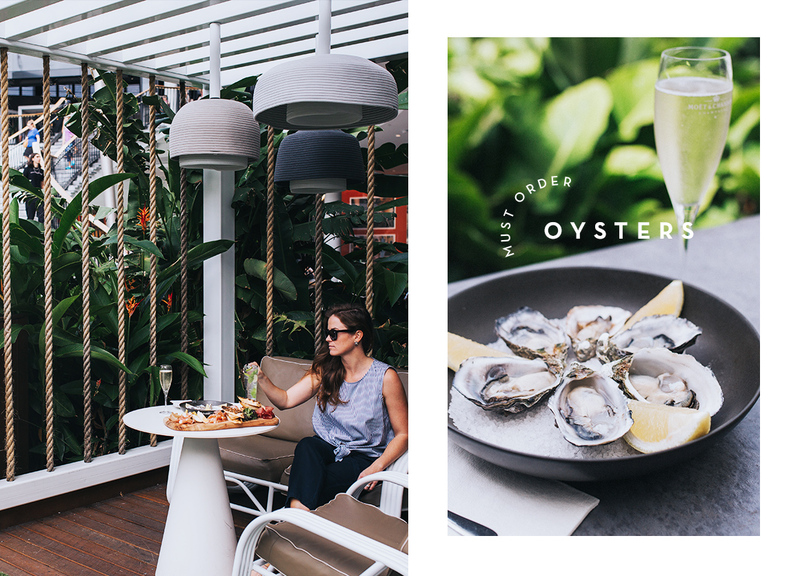 When the Gold Coast’s premier shopping destination dropped a whole lotta cash on expansions to bring some of the world’s biggest fashion names to our doorstep, us foodies were only interested in one thing—the seriously elevated dining options. From oysters and champagne, made-from-scratch Italian, addictive burgers, cocktails, ethnic street food, and dessert for breakfast, these guys have got every craving covered. We’ve teamed up with Pacific Fair to bring you five restaurants and cafes that you should have tried. Warning: This list may result in you never eating at home again. Like, ever. 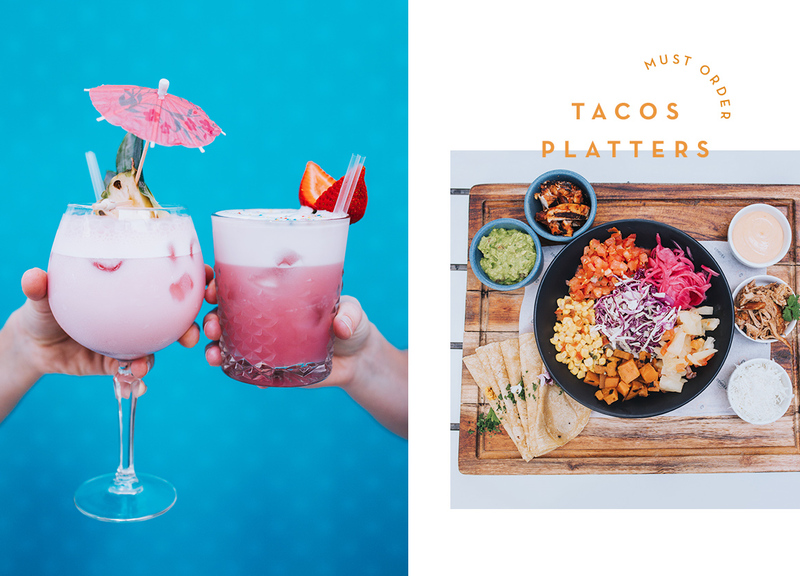 Cocktails and tacos platters are always a good idea, which is why we’re crushing on this vibrant cantina at the grand new entrance to Pacific Fair. Comuna Cantina’s Insta-game is strong and we’ve been guilty of many a double tap; hence how they’ve coaxed us in for colourful cocktails, Nutella espresso martinis, and South American street eats of tacos, arepas, and churrasco BBQ plates. These guys are open ‘til late, seven days a week, for your post-work margaritas or pre-movie night binge; and keep an eye on their socials for monthly Latin American salsa nights that’ll change the way you think about shopping centre dining. Hands up who’s dined at Rivea? This swish Italian eatery is the heartbeat of Pacific Fair’s impressive alfresco “resort” complex and a standout addition among the Coast’s best new restaurants. Even better? It’s locally-owned and operated; the flagship venue of Daniel and Ruggie Ridgeway and the sixth feather in their hospo empire (together with the BiN group and Little Truffle). 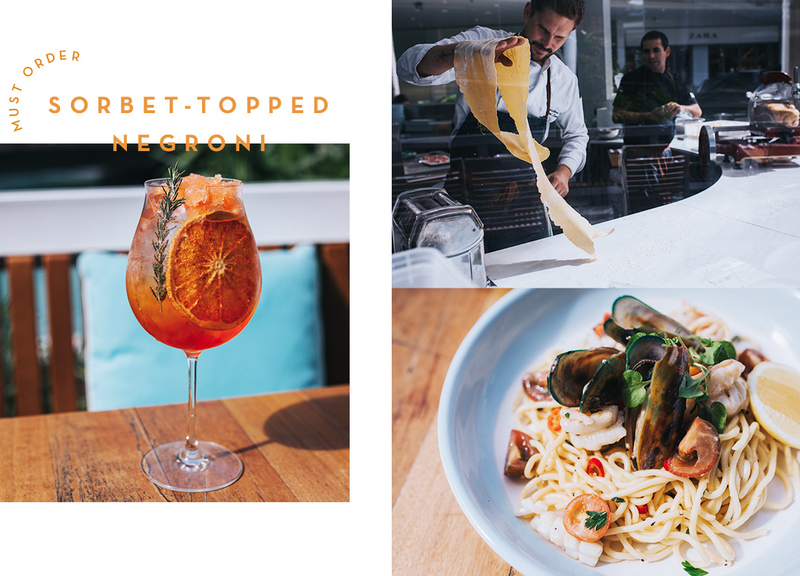 Nab a table in the sunshine and watch on as chefs hand-make your pasta and wood-fired pizza behind the glass, then get comfortable with a sorbet-topped Mojito or Negroni, or three. After a long, lazy lunch, a slightly-inebriated shopping spree may follow—you have been warned. 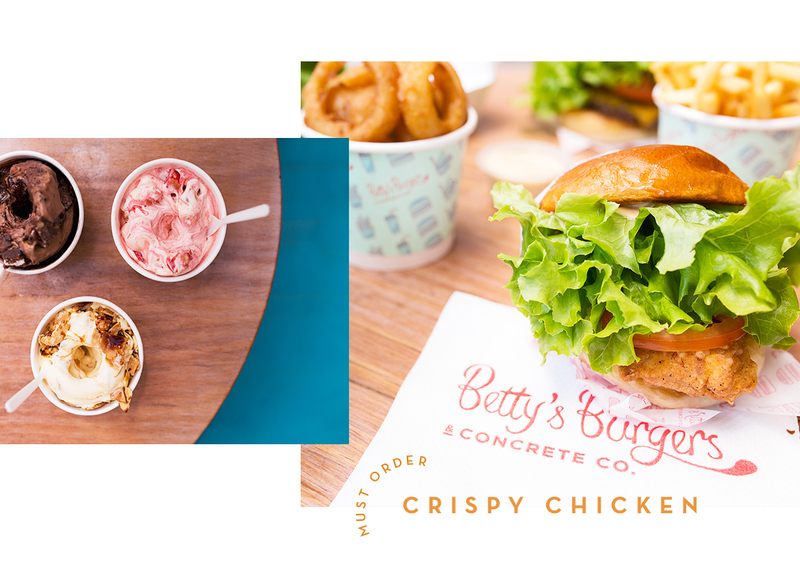 Our obsession with Betty’s soft-as-hell milky buns reached new heights recently when this Sunshine Coast burger queen opened her THIRD Betty’s Burgers on the Gold Coast—our biggest one yet! To say we’re in love is an understatement. Now with ample space to undo your top button and sprawl out in a post-burger coma, all your favourites are here including the slow-cooked pork belly, southern fried crispy chicken, and, for the vegos, the Shroom burger with melted gouda and gruyere cheese. Don’t forget to leave room for a signature Concrete frozen custard dessert with honeycomb and orange biscuit crunch. Drool. If you’re yet to pop your Betty’s Burger cherry, what the hell have you been doing with your life? Sometimes a shopping trip holds extra special meaning—an overdue date with your darling mumma or perhaps you’re hunting for dresses and accessories with your bridesmaids? Well folks, special occasions call for oysters, charcuterie boards, and champers. In the sunshine. Yes, they do! Aquitaine knows this, so we suggest you make room for a pit stop in your next shopping itinerary. Make a date with French flair, and dishes such as house-made terrine, liver pate, steak tartare, Nicoise salad, and fanciful plates of chicken and mushroom ballotine or braised lamb shoulder with pan-fried gnocchi. Oh la la. They had us at dessert bar. Then they threw cocktails into the mix and the deal was done. You know Pacific Fair’s quirky dessert store is crazy for all things dairy when they have udders for light fixtures and cow print everything! 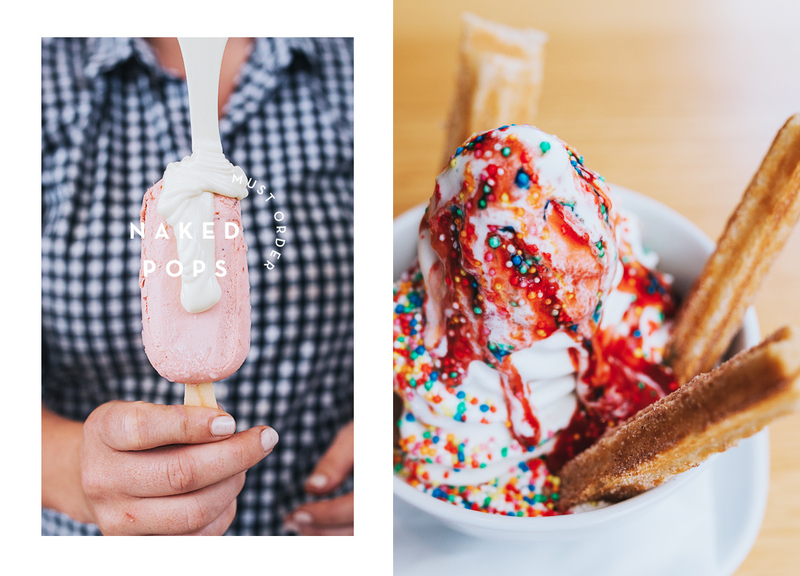 Leave your diet at the door and peruse Cowch‘s drool-worthy menu of Moo Burgers (AKA brioche sliders filled with ice cream), baked churros topped with soft serve, OTT hot chocolates and shakes, dessert pizzas, Belgian waffles, and design-it-yourself Naked Pops. You’ll wanna Instagram the heck out of everything, or maybe just keep your sugar-filled escapades to yourself. Your call. Done with eating? Here’s seven winter fashion essentials every Queenslander needs in their wardrobe. Editor’s Note: This tasty article is proudly sponsored by Pacific Fair and endorsed by The Urban List. Thank you for supporting the sponsors who make The Urban List possible! Click here for more information on our editorial policy.